Tubapede Records announces it's first release, Solo LP, a solo album from tubist Dan Peck. Dan Peck moved to New York in 2005. Born and raised in East Brunswick, NJ, he spent much of his youth playing guitar and bass in rock bands. Long hours were spent in the basement, composing songs and playing along with Primus and Dream Theater CD's. Later in high school, Dan took a few lessons on the tuba, and decided to study classical music and brass technique for 6 years. His interest in improvisation and avant-garde composition, combined with his eclectic background has equipped him with a unique style of interpretation. Dan performs regularly with improvisers, new music ensembles, and orchestras. Dan announces his debut as a solo artist with Solo LP. The jacket features a cover photograph (taken by Peck) of a Beavertail Cactus flower from Joshua Tree National Park, CA. On the back is a quotation by Nikola Tesla. Side A, "Longus Tonus", is partially inspired by Karlheinz Stockhausen's collection of text pieces, From the Seven Days (1968). Side B, "Satanitorium", features overdubs of amplified and percussive tuba, and has a strong metal influence. "...very nicely done, in packaging and sound. Side A - bold minimalism, Side B - the clatter of unholy legion." "This is one deep and fucked up record. Truly deep, truly fucked!" "This is one of the most intense sessions I've heard in recent memory, so you have been forewarned." 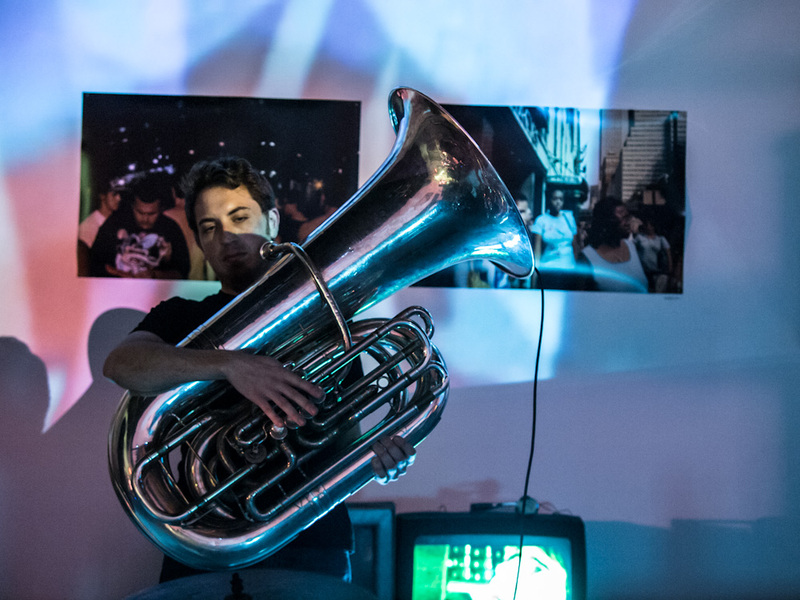 "Irabagon, Barr, and Walter are just three representatives of a larger community of players currently exploring the jazz/metal overlap in NYC, including tuba player Dan Peck, banjoist-guitarist Brandon Seabrook, and cellist Joe Merolla."